The car is undeniably an icon of fast-paced, on-the-go North American life. Least to say, culture in America would change drastically, were it not for the convenience of driving from one place to another across vast landscapes. 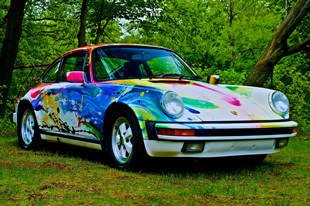 The Art Cars Project aims at reversing this dependency and making culture a key feature of cars, with its first limited edition of eight custom-painted Porsche 911s. 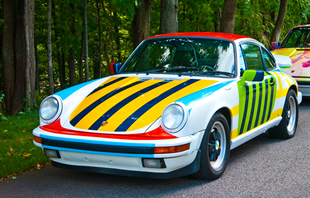 The first five Porsche 911s draw directly from Art Cars Founder Alain Authier's culture, all being works of an established French Canadian artist; Claude Le Sauteur (1926-2007), Jean-Pierre Lafrance (b. 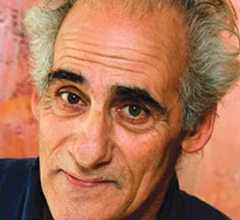 1943), Dominic Besner (b. 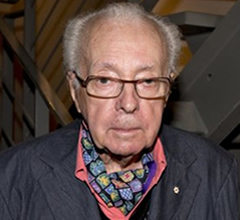 1965), Marcel Barbeau (1925-2016), and Marc Séguin (b. 1970), in chronological order of Art Car completion. 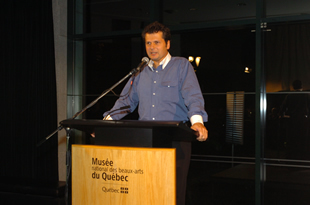 The first Art Car, commissioned in 2003, was unveiled with great acclaim three years later at the MNBAQ (Musée national des beaux-arts du Québec), and it is now par of the Desmarais art collection. 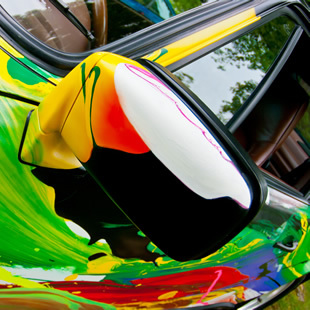 Each Art Car represents a lengthy creative feat, with six-to-twelve intensive months simply to paint the car. 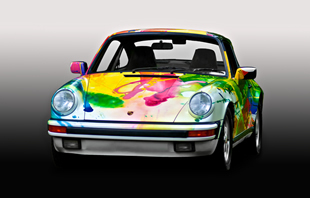 The fifth Art Car is in production, and the final two artists of the Porsche 911 edition are in selection. 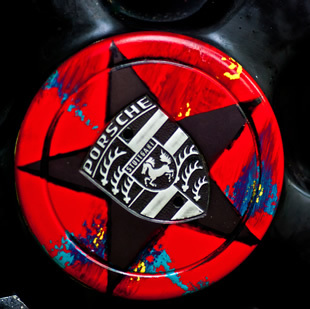 Art momentarily slows the tempo of the cars to focus on beauty and aesthetics. 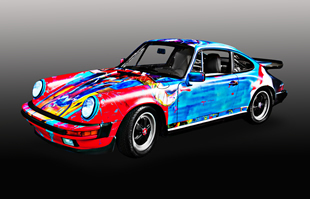 The fine artists are given carte blancheto create whatever artwork they envision out of the Porsche 911 car model. 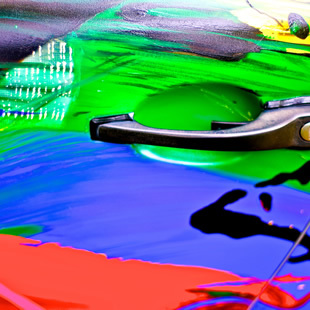 The medium used to conceptualize each Art Car – initial painting, elaborate sketch or actual model – captures from the start the grand artistic vision to be materialized on four wheels. 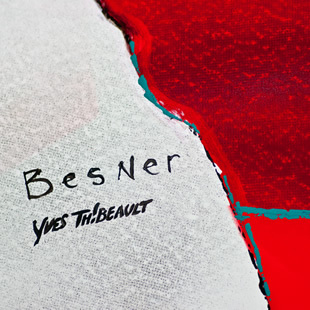 Auto-body painter Yves Thibeault transposes by hand, to the fine artist’s clear directives, the conceived art onto the Porsche 911 exterior frame. 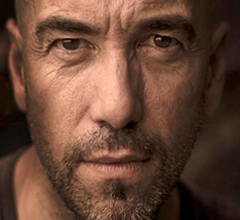 An experienced collaborator and master of his craft, Thibeault skilfully evokes the fine artist’s brushwork and original textured media on the car’s flat surface. He supplements the airbrushes and spray paints typical of car painting with a mixture of permanent felt-tip marking, finger-painting, artist brushing and sanding in accordance to what is required of the oeuvre. 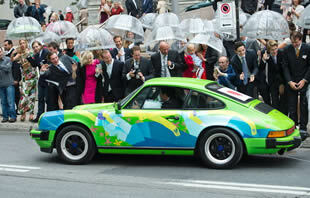 The resulting Art Cars are a flawless execution of the Porsche 911 envisioned by each fine artist. 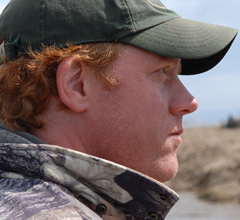 They transcend their drivability and material function through artistic and cultural significance that will appreciate with the test of time.